This perfectly designed, custom home located in one of the most desirable gated communities, Shenandoah. One-of-a-kind details throughout, gourmet kitchen open to the great room features custom built ins, floor to ceiling windows overlooking landscaping and mature trees. Travertine vestibule leads to master suite w sitting area and 16X9 walk-in closet. Third floor guest suite w bath, sitting area and view of downtown Dallas. 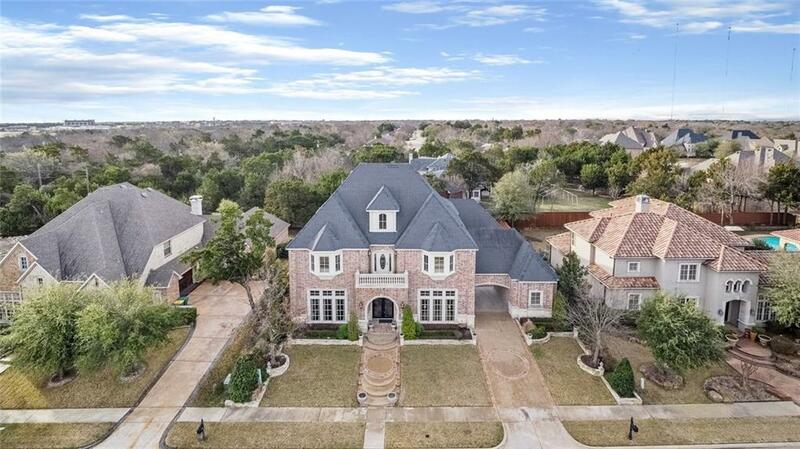 Study, study loft, wet bar, butlers pantry, gameroom, media room, bay windows, 3 staircases, thermopane windows, 2 fireplaces w heat ventilation sys, custom oak flooring, 12 ceilings, spacious 3 car garage,porte cochere, 8 foot cedar fence, 1 mile from eateries, shopping and interstate! Offered by Tierny Jordan of Exp Realty Llc.